The purpose of this brief essay is not to forestall discussion of the administration of communion to those not [yet] baptized, but rather to provide some historical context and background to inform such discussion. Note as well that it is not within the scope of this review to examine the issue of excommunication or refusal of communion for disciplinary reasons. Nor is it intended to address the spiritual restrictions and requirements contained in some of the Prayer Book texts of exhortation and invitation (i.e., being in love and charity with one’s neighbors, intending to lead a new life, repenting one’s sins) since these are largely subjective, and not externally verifiable criteria, and therefore are ill suited to canonical regulation. Scripture itself provides no unambiguous or explicit guidance on the question of communion of the unbaptized. 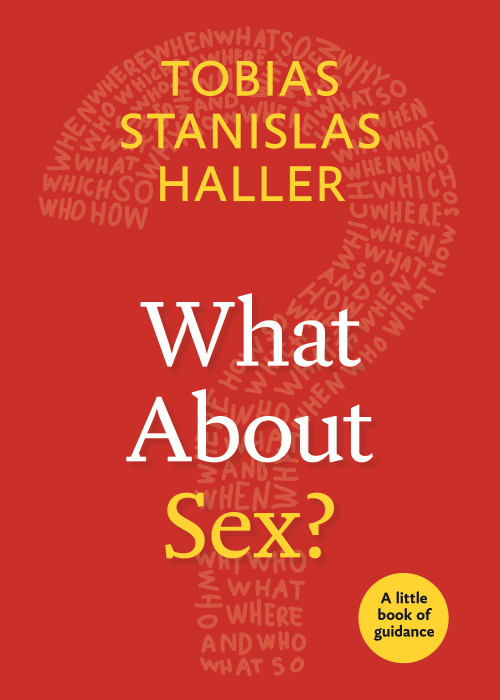 It might well be argued that the question never arose. However, baptism clearly plays an important and foundational role in the community which gathered around John the Baptist and later Jesus. It appears that baptism came to be understood by the apostolic church as an adaptation of Jewish ceremonies for conversion as a step towards (or substitute for) circumcision, which admitted one to the Passover meal (Exo 12:48). Given this understanding (not only for remission of sins or repentance, but as a sign of incorporation) baptism becomes significant in light of Paul’s declaration that Christ is “our Passover.” It is therefore understandable that the apostolic leaders believed that incorporation into Christ’s Body (the church) through Baptism enabled one to “keep the feast” which is the sacramental celebration of that Body. Because many if not most were baptized as adults, early church laws assumed (and later required) preparation for baptism and the reception of communion which served as its culmination. This preparation involved a period of education (the catechumenate) and involved prayer and fasting, prior to subsequent participation in the church’s liturgy. Though fewer in number, those baptized as infants received communion at baptism, just as did adults. In the period between the fourth and fourteenth centuries, however, infant baptism became the rule rather than the exception. While the Eastern churches continued to commune infants, a changing theology of the eucharist in the West led to a gradual withdrawal of communion from infants, and admission to communion came to be restricted to those who had reached “the age of reason.” In addition, a separate rite of confirmation developed in the West, and in England this led to an additional change in the canonical regulation of admission to communion. Many of the faithful apparently were not bringing their children for confirmation at the appropriate time. In order to encourage confirmation, the Council of Lambeth (1281), chaired by Archbishop Peckham, changed church law to require confirmation for admission to communion. The 1662 version added an additional notice at the end of the baptismal rite: “It is expedient that every person, thus baptized, should be confirmed by the Bishop so soon after his Baptism as conveniently may be; that so he may be admitted to the holy Communion.” However, the 1662 Prayer Book softened the Confirmation Rubric itself, removing the requirement concerning the catechism, and adding at the end “or be ready and desirous to be confirmed.” This rubric accommodated those who were unable to be confirmed during the unsettled period of the English Civil War. It was retained in the first American Prayer Books where it met a similar pastoral need: there were no bishops in the colonial church, and many American church members were not confirmed, though presumably “ready and desirous” to be so. This phrase allowed for considerable pastoral flexibility even after confirmation became readily available throughout the Anglican Communion, and given this pastoral leeway, the rubric remained in versions of the Book of Common Prayer throughout the Communion. At the same time, an increasing movement developed to recover the ancient custom of admitting children to communion at their baptism, even though limitation of communion to the confirmed (or those ready and desirous of confirmation) remained in the rubrics of the American Prayer Book. The House of Bishops issued a recommendation in 1971 that young children, after “being instructed in the meaning of this Sacrament,” might be admitted to communion in the context of worship with their family, before confirmation. Resolved, that the Committee on Theology be instructed to present a report on this matter to the next House of Bishops meeting. It is therefore clear that the Episcopal Church now regards baptism as the sole canonical criterion for admission to communion, at least for persons who are members of the Episcopal Church or a church in communion with it. However, a second issue that arises is the appropriateness of admitting non-Episcopalians to communion. This is not a novel question. Even in the time when the Confirmation Rubric was in effect, the prevailing opinion was that occasional communion by a baptized non-Anglican was not forbidden by the rubric. 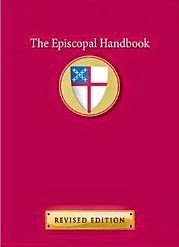 The General Convention of 1967 adopted a resolution that permitted baptized non-Episcopalians (who had made public profession of faith in their own traditions) to receive communion in the Episcopal Church “where the discipline of their own Church permits, not only at special occasions of ecumenical gatherings” but whenever so moved by spiritual need. Similar to the Lambeth resolution of 1920, this action was not felt by the Convention to require any change in the canons or rubrics, the apparent tension with the Confirmation Rubric resolved by the fact that since the Episcopal Church at that time did not recognize any equivalent to Confirmation in many non-Episcopal churches, whether such a person could be considered “ready and desirous to be confirmed” was irrelevant. The primary intention of the legislation appears to have been a desire to discourage “what is commonly known as ‘Open Communion”’ — which is to say an open declaration that communion is open to all who are baptized, from whatever tradition. The emphasis here was on the discipline of the church of which the person was a member. They shall have been baptized with water in the name of the Father, and of the Son, and of the Holy Spirit, and shall have previously been admitted to the Holy Communion within the church to which they belong. They shall examine their lives, repent of their sins, and be in love and charity with all people, as this church in its catechism (BCP p. 860) says is required of all those who come to the Eucharist. They shall approach the Holy Communion as an expression of the Real Presence of Jesus Christ whose sacrifice once upon the cross was sufficient for all mankind. They shall find in this Communion the means to strengthen their life within the Christian family ‘through the forgiveness of (their) sins, the strengthening of (their) union with Christ and one another, and the foretaste of the heavenly banquet...’ (BCP p. 859-60). 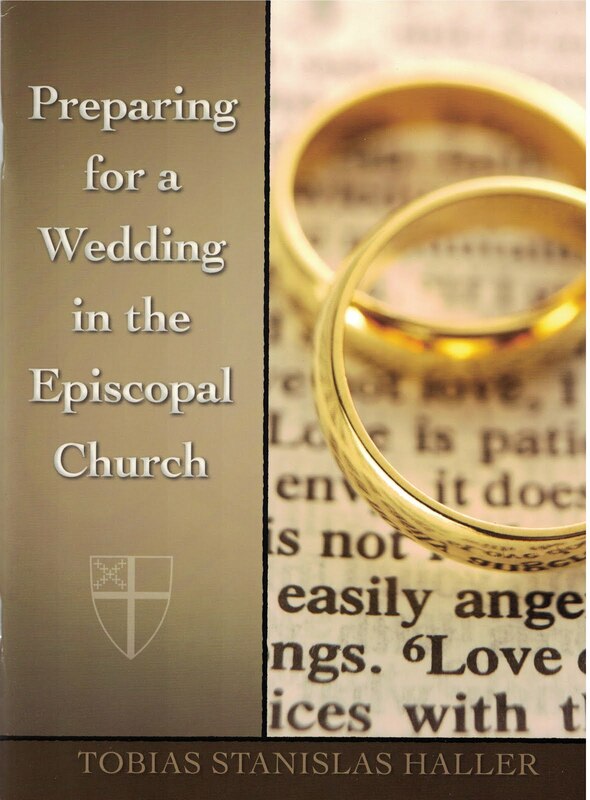 The Episcopal Church since 1979 authorized “occasional communion” for baptized members of other Christian churches who are already admitted to Communion in their own churches, who meet the Episcopal Church’s own Prayer Book requirements for all who come to the Eucharist, and who are in basic agreement with the Episcopal Church’s own eucharistic doctrine. It emphasized, however, the individual right of conscience as well as respect for the sacramental disciplines of the other churches. Many did not feel that the restrictions in this resolution were in keeping with the intent to clarify that Baptism is the sole criterion and means for membership in the universal church, and that all members of the universal church are eligible to share in the Holy Eucharist as an outward sign of that membership, and of the unity that transcends denominational limits. With the growing practice of infant communion the question arose as to the appropriateness of requiring a particular eucharistic doctrine of anyone receiving communion. In 1982, therefore, the Standing Liturgical Commission brought to the General Convention a resolution amending the membership canon (at that time Canon I.16, now Canon I.17), in order “to bring the Canon into conformity with the concept of Christian initiation and Church membership implied” by the relevant sections of the Book of Common Prayer. The new canon marked a major change in the way membership in the church would be understood, and it also had implications governing admission to communion. The proposed resolution, and another similar to it, were referred to and amended by committee and came to the floor of the House of Bishops with two significant changes. The opening clause was clarified to read, “All persons who have received the Sacrament of Holy Baptism with water in the Name of the Father, and of the Son, and of the Holy Spirit, whether in this Church or in another Christian Church, and whose Baptisms have been duly recorded in this Church, are members thereof.” The added phrase emphasizes the universal nature of baptism, transcending denominational divisions, and is in keeping with the Prayer Book’s affirmation that baptism “is full initiation... into Christ’s Body the Church.” The effect of this new canon was to clarify that baptism makes one a Christian, and that recording that baptism in the Episcopal Church makes one an Episcopalian. The closing section of the canon was simplified: “No unbaptized person shall be eligible to receive Holy Communion in this Church.” The Bishop of Rio Grande moved to amend this clause by the addition of the word “regularly” at the end of the sentence. This amendment, which would have permitted occasional reception of the eucharist by one not baptized, was defeated. This canon clarifies that baptism, previously defined as to form and matter, whether performed in the Episcopal Church or another Christian church, is the sole canonical requirement for admission to communion. The question arises as to what extent invitation to receive communion should be made, in addition to the exhortations and invitations already in the liturgical texts. While not wishing to invite a Christian of another tradition to disobey the rules of that tradition, neither should the Episcopal Church be placed in the position of enforcing someone else’s rules. This is particularly so when the persons’ presence at an Episcopal eucharist (in itself a possible breach of their denomination’s rules) may indicate a desire and need for pastoral care. In addition, an increasing number of persons attending church services are not [yet] baptized. Some may innocently feel they are welcome to receive communion, since the liturgy itself does not specify baptism as a requirement for admission to communion, and appears to issue a number of invitations to all who are present. Therefore a brief announcement to the effect that “all who are baptized are welcome at the Lord’s table,” has become customary in many parishes, while a few others have boldly acted contrary to the canonical and rubrical limitations, and issue a general invitation to any moved to receive. Thus we come to the present debate on the advisability of such a change in policy and practice. Further extensive analysis of the issues surrounding Confirmation, and Infant Communion may be found in Ruth A. Meyers, Continuing the Reformation: Re-Visioning Baptism in the Episcopal Church (New York: Church Publishing Incorporated, 1997). The Rev. Canon J. Robert Wright’s “Who May Receive Communion in the Episcopal Church”(Cincinnati: Forward Movement Publications, 1980) includes a detailed description of the background to the 1979 General Convention Resolution, and its implications for the church at that time. Second comment: I await the conclusion of this essay where it might deal with the necessity of baptism. I hope for a defense of this requirement, and some practical suggestions for what we should do about parishes that insist on making up their own rules for the admission to communion. An excellent piece of work, Tobias. Thank you very very much. I wonder what Thomas means by "a defense of baptism"... shouldn't it be the other way around? If indeed we need to examine our conscience before receiving communion (as e.g., the Exhortation says, with full canonical authority, btw), then clearly baptism as, inter alia, the forgiveness of sins, is required for communion. Is baptism a necessary condition of the requisite contrition and repentance? Somehow that doesn't sound right--as if Job could not repent. Anyway, that would make the ceremony of baptism, which seems partially constituted by repentance (eg BCP 302), incoherent. Is baptism then a necessary condition of receiving the sacrament of the altar? But perhaps "necessary condition" is too strong--were all present at the institution of the Eucharist baptized Christians? Repentance, a necessary condition for the reception of the sacrament (eg BCP 350, 359) is really distinct from being baptized (though not conversely). What, exactly, obstructs reception without baptism? When we come to Scriptural evidence for requiring repentance for reception of the eucharist we are on even less secure ground. So it appears that what we are dealing with is a well developed but probably post-apostolic tradition, with a good deal of patristic and scholastic support to it, and which has been enshrined in the canons. As the matter cannot easily be settled solely by resort to Scripture, it appears to be open for discussion, no matter how venerable the tradition. That does not mean I favor such a change; I merely feel constrained to admit that possibility; and I await compelling arguments to make the change ? or not. Thank you for the comment--the Acts 19 text is quite interesting. But to rephrase the bit you said at the end, seeing if I understand what you suggest: supposing (a) what has not been shown in Scripture should not be required of us, and admitting (b)Scripture does not show an obligation to admit open communion, it follows (c) there is a burden of proof on those who wish to change the tradition in question. But you would not object if one addressed (b), e.g. interpreting Scripture so as to yield an argument for open communion, by attending primarily to the ongoing life of the Church in Christ, rather than, say, attending primarily to traditional Scriptural exegesis? Here goes: Various parishes might testify that open communion was effective in bringing people to baptism and an active life in the community of faith--such an experience would argue for the permissibility of the practice. But I presume, perhaps without good grounds, that the Church--at least with respect to us in this state--is foremost a baptismal community, so that it is fitting to take baptism as an end, even making communion a means. Communion with the unbaptized might then be a kind of hospitality that can draw wayfarers into a relationship with God by confronting them with Christ--not just with the word, but with the table, as, being human, it is proper for us to come to know in both ways or, more importantly, either way, e.g. in preaching, or in the breaking of bread. I'm just can't help myself: those who recognized Christ in the hearing of the word and the breaking of bread at Emmaus were not baptized members of the Church; Thomas recognized Christ via the recollection of his broken body even without, on that occasion, either receiving the word or being a baptized member of the Church. There might have been something about the brokenness of Christ's body on the cross in particular that resonated with them as a revelation of who God is. Were we to admit these instances as at least analogous to communion or parts of communion practiced within the Church, they might yield a prima facie scriptural witness for the practice of open communion. E.g. Just as Thomas recognized Christ from the scars of his crucifixion, so the wayfarer may recognize Christ in the breaking of bread. A good first step toward receiving the Spirit. Thanks for the additional comments. On the first, I suppose I would think there is a double burden of proof, both for those who wish to defend the traditional sequence, and those who wish to alter it. The former need to offer more than the mere tradition, if they are going to argue that the sequence is required, as requiring something, for us Anglicans, means some clear Scriptural indication. As already noted in this thread, I don't think Scripture offers a clear or ironclad support for what the tradition later developed, but I would welcome seeing that laid out by those who want to maintain the tradition. On the side of those arguing for change, a similar careful argument, such as you begin to make here, based on the evangelical reality that people are coming to the faith through the sacraments -- in whatever order they take place -- my primary concern is for an "orderly transition" if I can call it that. This does represent a major change in the tradition, and so I think care is needed. Perhaps another Scriptural support for such an inversion also lies in Acts 10:44-48: the household of Cornelius receive the Holy Spirit before baptism with water; and God thereby ratifies Peter's vision that he is not to call unclean any whom God has made clean. On your second note, however, although the Scripture isn't explicit, it is highly probable that the apostles are baptized, including those at Emmaus, on the basis of Jesus' own early participation in and extension of the ministry of John the Baptist (John 4:1-4) Whatever else the early Christian movement was, it was a "baptizing" community. However, whether this was at that point seen as a cleansing from sins, a baptism for repentance, the ratification of the Spirit, the gift of the Spirit, or incorporation into the Body of Christ -- or some combination of these -- isn't entirely clear, and it took the early church to develop a thought-through theology of baptism. Which means it is subject to further thinking! Agreed: the topic calls for further thinking. Let me ask, being unsure, how an orderly transition on such a closely held point would proceed? What would it look like, or, how might a case best go to build consensus? The closing section of the canon was simplified: ?No unbaptized person shall be eligible to receive Holy Communion in this Church.? The Bishop of Rio Grande moved to amend this clause by the addition of the word ?regularly? at the end of the sentence. This sounds like a very wise compromise, and I hope that the Church will decide to adopt it, in God's good time. It reaffirms the Traditional understanding of Baptism's importance, for admission to Communion. But it also allows for the economy of grace, recognizing that the "baptism of desire" is, in SOME, LIMITED CIRCUMSTANCES, far more important than standing on the letter of the rubric.